Members of the Montreal Newspaper Guild (MNG) are steeling themselves to withstand any intimidation Postmedia might be planning as bargaining at The Gazette resumes. 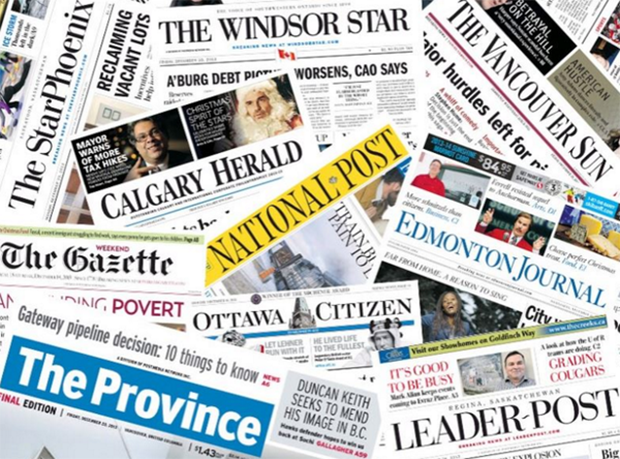 In order to win those concessions in Ottawa, Postmedia threatened to lock out staff at The Citizen and Sun if they rejected an offer in a vote on Sept. 12. Members voted 32-24 in favour of the deal, which will cost staff thousands of dollars in lost benefits. The MNG was prepared to declare a strike if their Ottawa colleagues had been locked out so that both Locals would have the power of two to fight Postmedia’s demands rather than stand alone against their onslaught. With three days of talks scheduled to start on Oct. 9, he said the Local is preparing for a strike or lockout. “I’ve told management in Montreal that they can’t expect us to roll over and play dead,” said Carroll. Members had given the bargaining team a 98-per-cent strike mandate in March and reaffirmed that commitment in July. Members of the MNG work in advertising, editorial, information services, reader sales-services and in the business office at the newspaper.